There are few things greater than breakfast, at least in my books. Especially breakfast for supper. 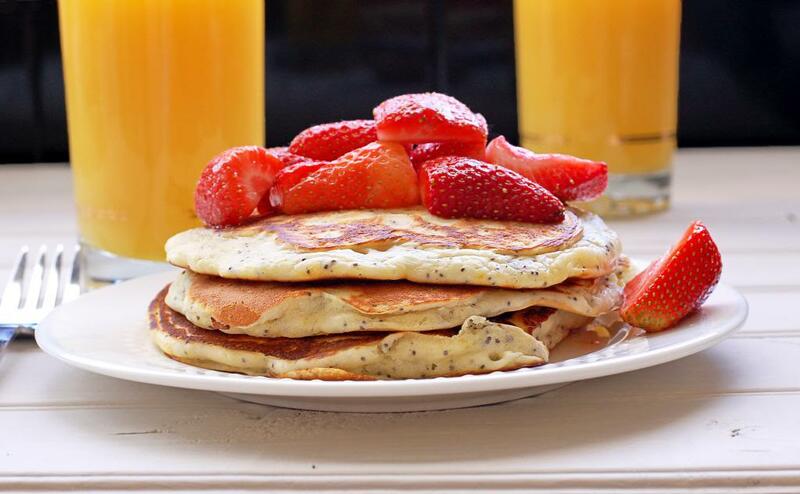 After a long day, sometimes all you need is a plate stacked full of fluffy pancakes. And sometimes, you want to switch it up and make pancakes with a twist. 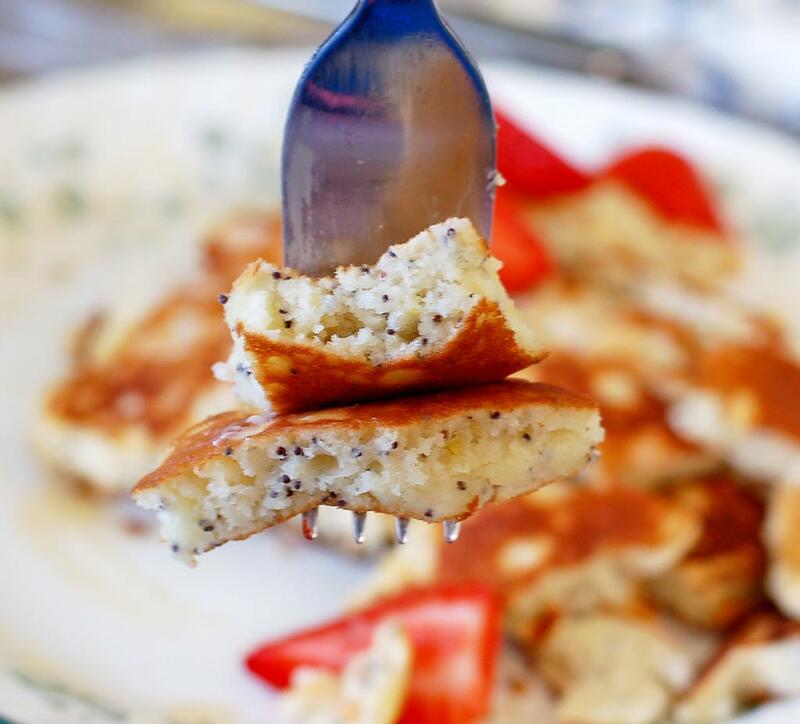 Lemon and poppy seed are a perfect combination and when added to pancakes, you have the perfect trifecta of awesomeness. I tweaked my go-to pancake recipe and the result is a lovely, light, fragrant pancake. 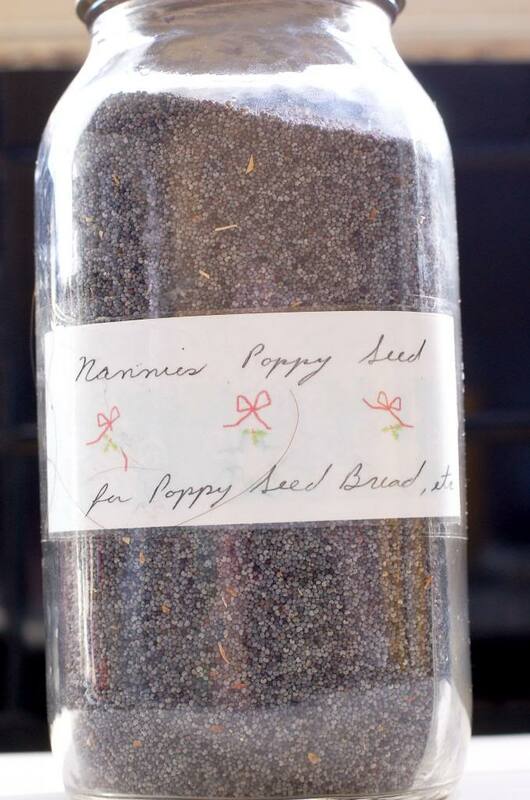 My boyfriend’s grandmother (they called her Nannie) used to grow her own poppies and harvested the seeds for her own baking. I’m lucky enough to have a huge jar of Nannie’s seeds all to myself! It’s going to take me a lifetime to use up all these seeds. I guess I better find some other recipes to use them in. Mix together the sugar and lemon zest with your fingers until well combined and fragrant. Set aside. Combine the flour, baking powder, soda and salt. Add in sugar and lemon zest. Set aside. In a separate bowl or large measuring cup, combine milk and vinegar and let sit for 5 minutes. Whisk in egg, melted butter and vanilla. Add the wet ingredients into the dry ingredients all at once and whisk until well combined and there are no lumps. Mix in lemon juice and poppy seeds. Heat a skillet over medium heat. Pour 1/4 or 1/2 cup measures of the batter into the hot skillet and cook until bubbles appear on the surface. Flip and cook the other side until browned.